Getting iPads inside the classroom. Recently I have gone over a podcast called Tech Edge which is run by Guy Trainin which is full of resourceful apps for teachers of all content areas to use. For my purposes, I looked at one of his videos regarding music apps. This is an example, however, of how good his videos are for teachers of all content areas. Please check out his videos! What I found most helpful was his detailed distribution about what each app had to offer. Also, he has listened to classroom teachers to pull together much of his information. I believe that is important to show that these apps really are being used for productive learning in the field. Guy Trainin does a great job of explaining the positives and negatives of each app and providing alternatives to difficulties if he can. Teachers, please consider using this podcast as a resource for learning about apps that can be implimented into the classroom. Children love a chance to use technology, so let's give them a chance to use it in a productive way. Guy Trainin's materials are well labeled and easy to access. Take some time to look at his videos and find a few apps that are good for you to use in your content area. I have a few that I would like to discuss to show you what I found. Guy Trainin talks about an app called Songza at the beginning of his video as a good music consumption app. Unfortunately, as I looked through the App Store, I could not find the Songza app and have come to the conclusion that it must not be available anymore. Don't worry, what Songza had to offer can be found in other apps. First, let me discuss another app he briefly talked about to compare what it has to offer to what Songza had to offer and then tell you what I think is a good solution to the situation. 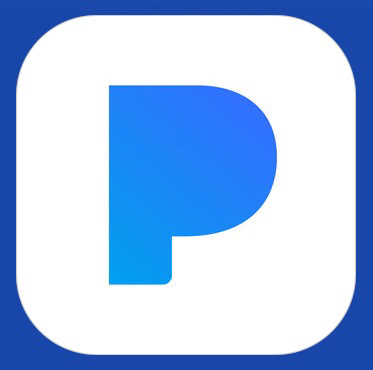 Pandora is a music consumption app that allows you to play similar music in a radio station. For example, if you wanted to listen to Coldplay and music similar to them, you would save a Coldplay radio station to your personal radio stations. This station would play not only Coldplay, but music similar to them. 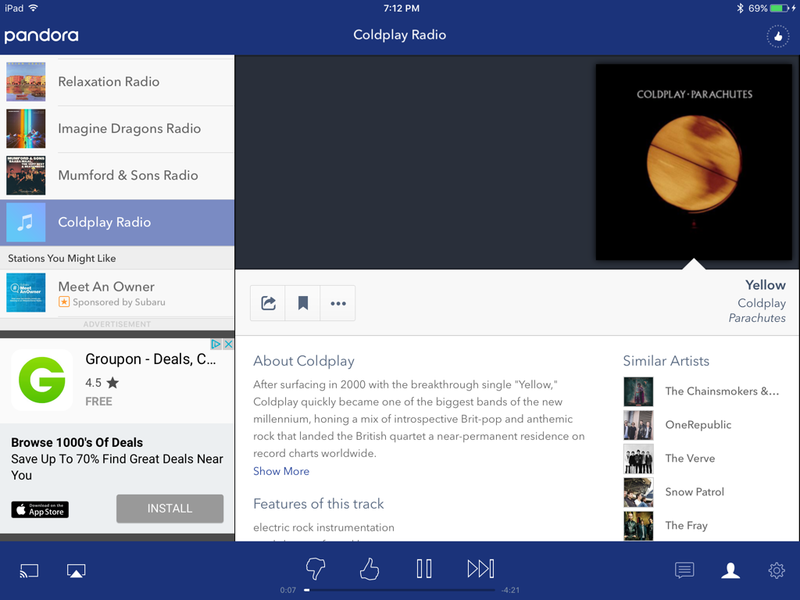 To give you an idea of what a Pandora page looks like, I have included a picture of my Pandora account below playing on my Coldplay station. Here are what I consider the pros of Pandora. In my opinion, Pandora has a better variety of music it plays on it's radio than an app like Spotify. Also, it limits your choice which is good if you want to listen radio style. Towards the bottom of the app you will find an option to like or dislike a song that you are listening to. If you dislike the song, the app will skip it and not play it again. If you like it, it will save it as a song you like and bring it back up in your playlist more often. There is a way to view the songs you like by clicking on the person icon at the bottom right hand of the app. The major cons of this app are the adds. For educational purposes, they are very distracting. Also, there is no way of knowing what song may play next. It may be completely inappropriate, especially for the classroom. As a teacher, you would need to be on your game to quickly change the song if an inappropriate one came up. That leads me to another con of the app, you can only skip so many songs before you can't skip anymore without listening to the song you are on all the way through. So in conclusion on this app, for educational purposes, this app would be best if played in a class where students were working on projects or papers and you just wanted music playing as background noise which you were closely monitoring. 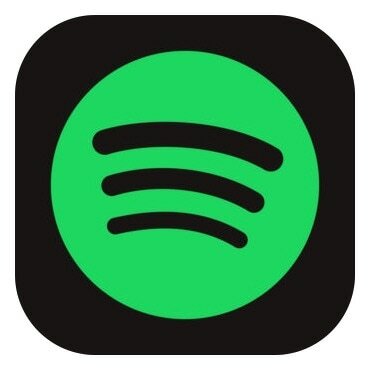 As a music consumer and a future music educator, I would like to recommend the Spotify app as a better one to use over Pandora for educational purposes. Yes, this app will cost $9.99 a month, but the pros outweigh the cons. For educational purposes, what I like about this app is the fact that you get to pick what song comes next. You still have the ability to play radio and shuffle music like you do on Pandora, but you get many more features as well. I've put a picture right below to show you what my home page looks like. As you can see, there are options to browse, play radio stations, search for specific songs, save songs to playlists, and much more. What is so beneficial about Spotify, on an educational standpoint, is that if you get the premium version, you get to pick which songs come next. This app gives you the opportunity to pick specific songs and play random radios as well. Not only do you get the choice of what comes next, but Spotify tells you if a song is explicit or not. You will see a little button that says, "Explicit" under a song if their is content not suitable for minors. 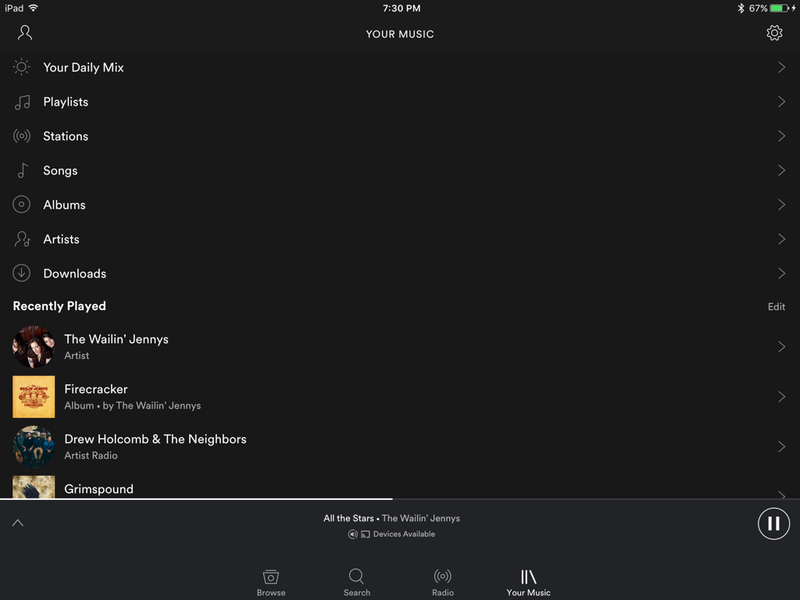 Another great aspect of Spotify is that it can be shared to multiple devices on one account. For example, I can control what is playing through my computer from my phone. As a teacher, this is great because I can quickly change a song even if I am far away from the controls. Students can also share songs in playlists that they have made which are quick and easy to access. Plus, you don't have to worry about adds or random songs getting in the way. Either Pandora or Spotify can be of great value in your classroom. The thing is, there is nothing that Pandora offers that Spotify can't do and then some. For $9.99, you are really getting a great deal. Plus, you could share it with another teacher and minimize the cost. The only downfall to that is you can't both use it at the same time. Other than that, Spotify is a great educational resource. Don't count Pandora out, I just believe you will like Spotify more in the long run. I was so excited when I downloaded this app and started using it. I have used GarageBand on my Mac many times for several projects. Many of them have been recordings that I have tried to make "professional" quality. I did not know how much more the app had to offer! I explored the app for quite some time didn't even scratch the surface about what all it can do. 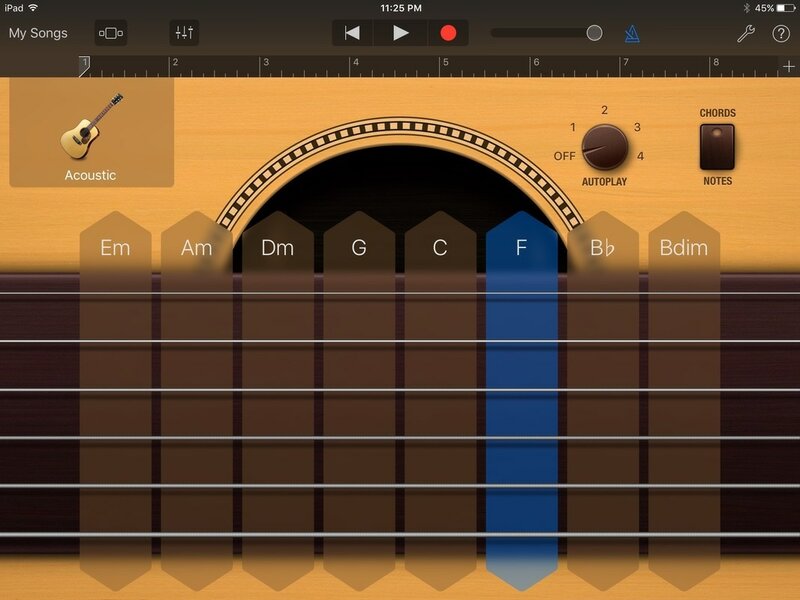 The app version of GarageBand is a great tool to use in the classroom. Guy Trainin touched on the fact that students can make recordings with this app. They can do that and so much more with the new updates. This app has setting for both children and more advanced musicians which I found absolutely fascinating. Let me talk on an educational standpoint about what I think is great about this app. This is a screen shot I took from my iPad as I was browsing through the app. This is the recording part of the app which has a "studio" part and a "fun" part. I clicked on the fun part to see what it has to offer and this is what I found. What students can do is hit the record button at the top of the page but record themselves like they are an alien, monster, etc. What I love about this as a future music teacher is that it gives students a fun way to begin learning how to record. The can edit the track to sound the way they want with easy controls until they master much harder parts. Younger students can also begin understanding how instruments work without having them in their hand. I like this. Instead of handing my students a $700 guitar, I can have them start learning on this app instead. Is it a perfect replica of how a guitar plays? No. But it's a great start! Take a look at this picture to see what I am talking about. Students can begin learning how to strum, what chord progressions work together, and so much more! 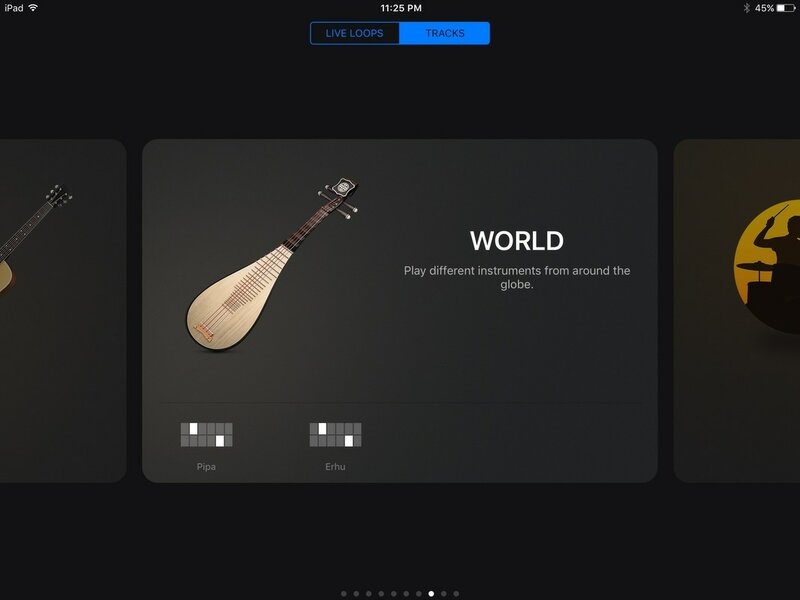 I also love how the app include instruments from other countries outside of the United States. On an educational standpoint, this is great because students are learning ethnomusicology most likely before they even know what that is! 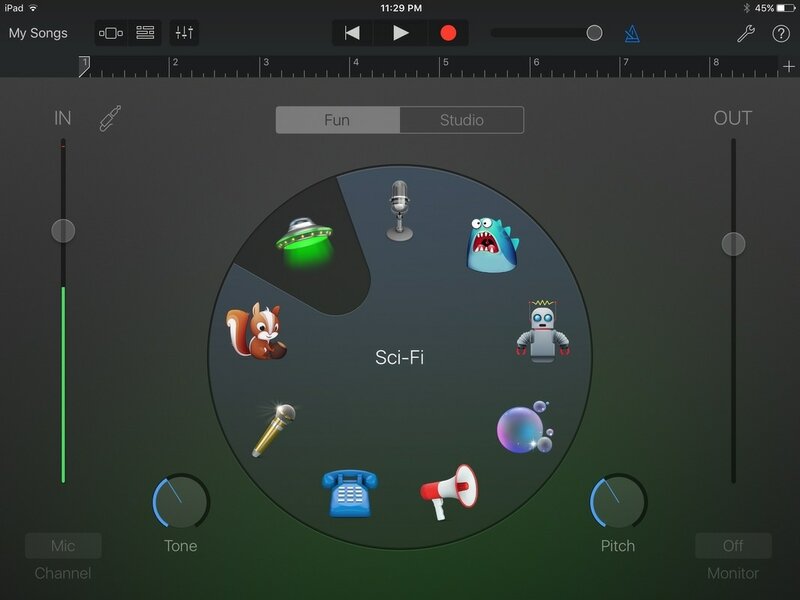 There is so much involved in the GarageBand app, it really will just take time for one to sit down and learn how to use. Most likely, if your students get a chance to sit with this app, they will learn more and be able to teach new features to you! That's a fantastic opportunity for students to work on their self confidence and learning abilities. 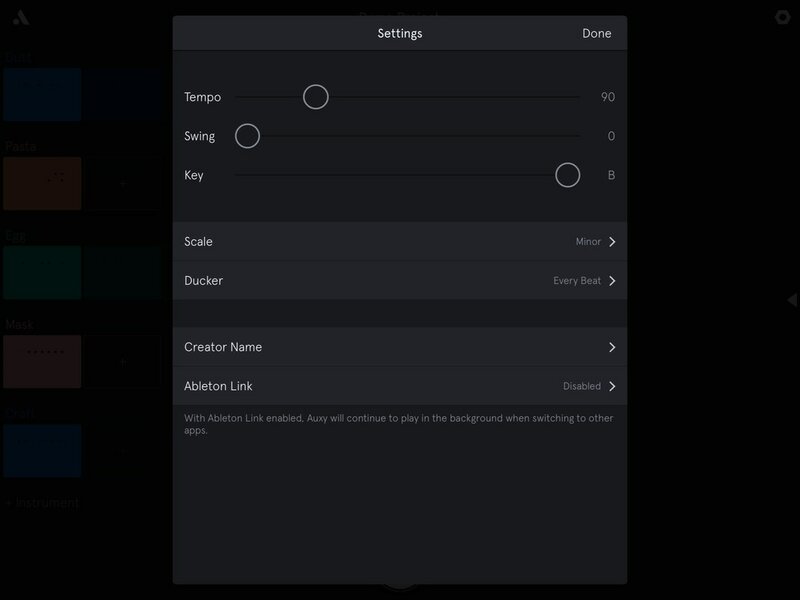 Another great aspect of this app is that it can be linked with a Mac computer if you use GarageBand on both. 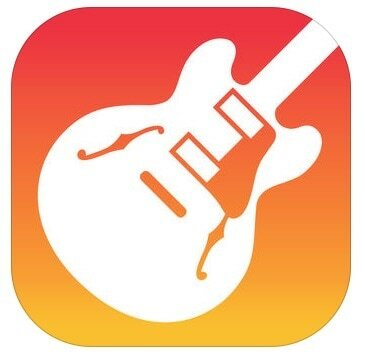 Overall, this is a great app to incorporate into the music classroom. 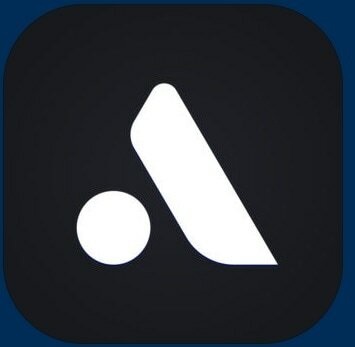 Another great app that Guy Trainin talked about was called Auxy. This app is very simple to use and can teach skills such as rhythm, melody, tempo, and even keys. This app is very simple in that you really only play one bar of patterns at a time. You can make several bars but they don't play one after the other. You can have different melodic figures, bass lines, and drum parts going at the same time. For each of those three there are several different sounds to choose from. This can help students learn the concepts of timbre and balance. Check out this picture I took from a project I worked on recently. 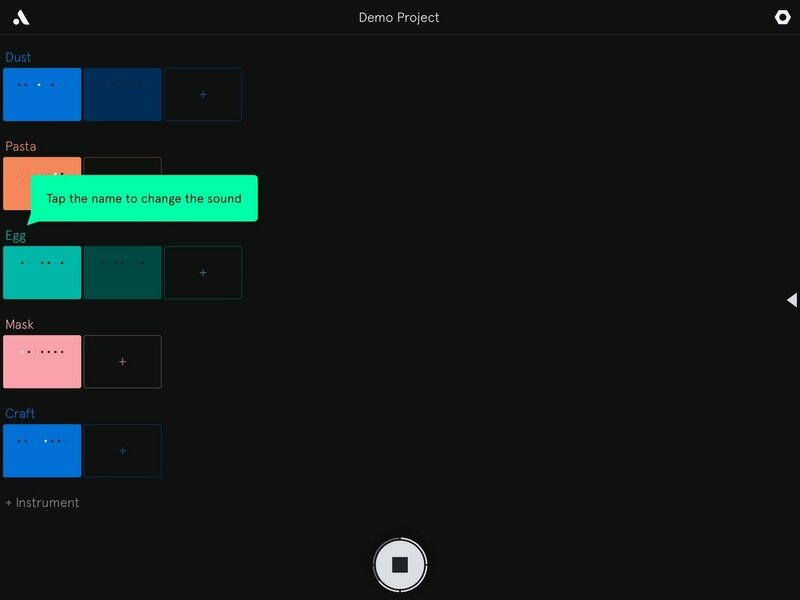 If you click on each of the sounds, you can edit the notes to change pitch and play at different times. This can help students learn how to change melodies and rhythms to change the way a piece sounds. The above photo shows how you can edit the tempo, swing, key, scale, and much more. These are great features for students to toy around with so they can figure out what features in music create differences between genres. One thing you do have to be careful with in this app is that there is the possibility to purchase items inside the app that can cost up to $5 or more. These give you more features in the app, which students may be tempted to use. If you're not wanting to spend the money on those items, you'll want to make sure your students know to avoid those! Overall, this is a great app for learning basics of music theory without having to use a text book. That's always a plus for our students!